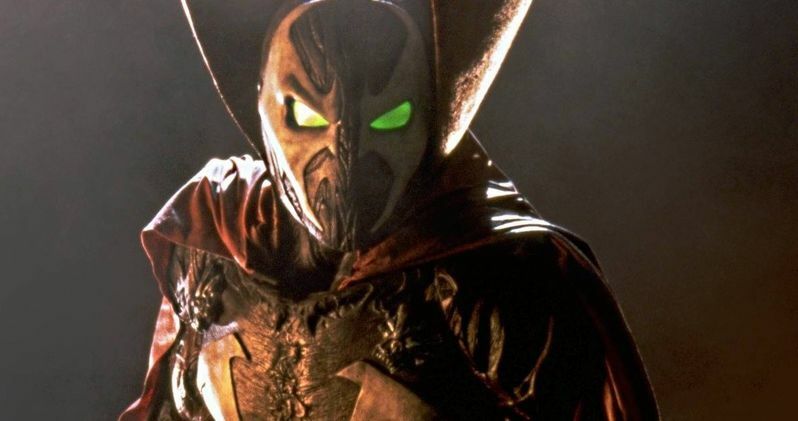 Were you disappointed by the Spawn movie that hit theaters way back in 1997? So was creator Todd McFarlane. And he plans to rectify that with a new remake/reboot that will be nothing like the original movie. He's finished his screenplay, and now, appearing on the latest episode of AMC's Geeking Out, he has revealed exactly what this new big screen iteration of his iconic comic book and action figure line will be. Earlier this year, McFarlane confirmed that he'd completed the script for a new Spawn movie, calling it 'massive'. Since that update, though, he's remained fairly quiet on the matter. At the time, he explained that he still needed to whittle the huge screenplay down by at least 45 pages, bringing it in at a still somewhat long 140 pages. If one page equals one minute of screen time, that still means this remake will clock in at over two hours. Speaking with Geeking Out's Kevin Smith and Greg Grunberg, Todd McFarlane had some interesting things to say about this fresh take on Spawn. And it sounds like it will fall into the horror category. He wants to bring something that is 'dark, R-rated, scary and badass' to theaters. The world he is creating will be very real. Though it will be laced with an element of fantasy. In saying this, he compares the movie to The Exorcist. He went onto compare the remake to a Steven Spielberg classic. "You're never going to see a dude in a rubber suit....This is going to be my Jaws shark." This isn't the first time that Todd McFarlane has discussed this type of idea. He also spoke with ComicBook.com earlier in the year. And he explained how Spawn works in this heightened version of the real world. "In the background, there's this thing moving around, this boogeyman. That boogeyman just happens to be something that you and I, intellectually, know is Spawn. Will he look like he did in the first movie? No. Will he have a super villain he fights? No. He's going to be the spectre, the ghost." Spawn has had an interesting shelf life. The superhero character was first created as a comic book. It literally 'spawned' a action figure line that was extraordinarily popular in the 90s. HBO created an animated series based on the property. And then there's that infamous live-action movie from 1997 which features Michael Jai White in the title role, with an ensemble that also included John Leguizamo as the Clown, Martin Sheen, D.B. Sweeney, Miko Hughes and Melinda Clarke. At this time, there is no word on who might take over the title role in the Untitled Spawn Reboot.